104 Used Cars, Trucks, SUVs in Stock in Jackson | Helms Motor Co.
CLEAN AUTOCHECK*ONE OWNER*LEATHER*POWER DRIVER'S SEAT*BLUETOOTH*KEYLESS ENTRY* STEERING WHEEL MOUNTED AUDIO CONTROLS*CD PLAYER*Odometer is 47110 miles below market average! 25/35 City/Highway MPGAwards:* 2012 KBB.com 10 Best Sedans Under $25,000 * 2012 KBB.com Best Resale Value Awards * 2012 KBB.com 10 Most Comfortable Cars Under $30,000Helms Motor Company has been helping meet your needs since 1963! 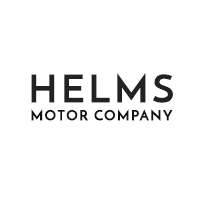 All Helms Motor Company pre-owned vehicles offer you 2 keys, an owners manual, floor mats, A FULL TANK OF FUEL, top notch service, and a service loaner car if needed. In addition, at Helms Motor Company, our doc fee is only $95 compared to $300-$500 at other dealerships, Call Jamie Joyner to schedule your test drive today!! CERTIFIED PREOWNED VEHICLE*CLEAN CARFAX* BLUETOOTH*KEYLESS ENTRY*REMOTE START*REAR-VIEW CAMERA*HILL START ASSIST*3.734 FINAL DRIVE RATIO*UPGRADED 17 ALUMINUM WHEELS*UCONNECT W/5 DISPLAY*22/31 City/Highway MPGChrysler Group Certified Pre-Owned Details:* Powertrain Limited Warranty: 84 Month/100,000 Mile (whichever comes first) from original in-service date* Roadside Assistance* Warranty Deductible: $100* Transferable Warranty* Limited Warranty: 3 Month/3,000 Mile (whichever comes first) after new car warranty expires or from certified purchase date* Vehicle History* 125 Point Inspection* Includes First Day Rental, Car Rental Allowance, and Trip Interruption BenefitsAwards:* 2016 KBB.com 10 Best All-Wheel Drive Vehicles Under $25,000 * 2016 KBB.com 10 Best SUVs Under $25,000 * 2016 KBB.com 10 Most Fun SUVsHelms Motor Company has been helping meet your needs since 1963! All Helms Motor Company pre-owned vehicles offer you 2 keys, an owners manual, floor mats, A FULL TANK OF FUEL, top notch service, and a service loaner car if needed. In addition, at Helms Motor Company, our doc fee is only $95 compared to $300-$500 at other dealerships, Call Jamie Joyner to schedule your test drive today!! LOCAL TRADE WITH LOW MILES*CLEAN AUTOCHECK*LEATHER* BLUETOOTH*KEYLESS ENTRY*REMOTE START*REAR-VIEW CAMERA*POWER DRIVER'S SEAT*SATELLITE RADIO*Odometer is 24538 miles below market average! 22/27 City/Highway MPGHelms Motor Company has been helping meet your needs since 1963! All Helms Motor Company pre-owned vehicles offer you 2 keys, an owners manual, floor mats, A FULL TANK OF FUEL, top notch service, and a service loaner car if needed. In addition, at Helms Motor Company, our doc fee is only $95 compared to $300-$500 at other dealerships, Call Jamie Joyner to schedule your test drive today!! CLEAN AUTOCHECK*ONE OWNER*BLUETOOTH*KEYLESS ENTRY*REAR-VIEW CAMERA*FOWARD COLLISION WARNING*LANE DEPARTURE*CLOTH/LEATHER COMBINATION*Odometer is 13045 miles below market average! 28/35 City/Highway MPGAwards:* 2017 KBB.com 10 Best Sedans Under $25,000 * 2017 KBB.com 5-Year Cost to Own Awards * 2017 KBB.com 10 Most Awarded Brands * 2017 KBB.com Best Resale Value AwardsHelms Motor Company has been helping meet your needs since 1963! All Helms Motor Company pre-owned vehicles offer you 2 keys, an owners manual, floor mats, A FULL TANK OF FUEL, top notch service, and a service loaner car if needed. In addition, at Helms Motor Company, our doc fee is only $95 compared to $300-$500 at other dealerships, Call Jamie Joyner to schedule your test drive today!! NEW TIRES! LOCAL TRADE*ONE OWNER*BLUETOOTH* KEYLESS ENTRY*REAR-VIEW CAMERA*POWER DRIVER'S SEAT*LEATHER TRIM W/CLOTH INSERT SEATS*DUAL CLIMATE CONTROL*CD PLAYER*DUAL EXHAUST*35/26 Highway/City MPG**Awards:* ALG Residual Value Awards * 2016 KBB.com 10 Most Comfortable Cars Under $30,000 * 2016 KBB.com 10 Best Sedans Under $25,000 * 2016 KBB.com Best Auto Tech Award Finalist * 2016 KBB.com 16 Best Family Cars Sedan * 2016 KBB.com Brand Image Awards2016 Kelley Blue Book Brand Image Awards are based on the Brand Watch(tm) study from Kelley Blue Book Market Intelligence. Award calculated among non-luxury shoppers. For more information, visit www.kbb.com. Kelley Blue Book is a registered trademark of Kelley Blue Book Co., Inc.Helms Motor Company has been helping meet your needs since 1963! All Helms Motor Company pre-owned vehicles offer you 2 keys, an owners manual, floor mats, A FULL TANK OF FUEL, top notch service, and a service loaner car if needed. In addition, at Helms Motor Company, our doc fee is only $95 compared to $300-$500 at other dealerships, Call Jamie Joyner to schedule your test drive today!! CLEAN AUTOCHECK*ONE OWNER*BLUETOOTH*KEYLESS ENTRY*REMOTE START*REAR-VIEW CAMERA*POWER DRIVER'S SEAT*STEERING WHEEL MOUNTED AUDIO CONTROLS*4 NEW TIRES*CD PLAYER*27/38 City/Highway MPGHelms Motor Company has been helping meet your needs since 1963! All Helms Motor Company pre-owned vehicles offer you 2 keys, an owners manual, floor mats, A FULL TANK OF FUEL, top notch service, and a service loaner car if needed. In addition, at Helms Motor Company, our doc fee is only $95 compared to $300-$500 at other dealerships, Call Jamie Joyner to schedule your test drive today! !